Working with female students in a therapeutic wilderness setting is something that New Vision Wilderness (NVW) has prided itself in doing since 2007. With programs in both Wisconsin and Bend, OR, NVW runs multiple teenage girls’ groups at all times. Ages range from 13-17 years old, and we love seeing the improved mental and physical health changes that take place for our Women of the Wild. Lacey operates from a strengths-based, family systems model of therapy. In her off time, she enjoys being active in nature, reading, watching Packer football games, and being near any kind of body of water, all with her dog Phil. Lacey is certified in both Brainspotting Phase I and Trauma Center Trauma Sensitive Yoga (TCTSY). Lacey earned her Master of Marriage and Family Therapy Degree from Abilene Christian University. After graduating with high honors, Lacey earned the Texas Association of Marriage and Family Therapy Student Achievement Award. This award is only presented to one marriage and family therapy student in the entire state of Texas and recognizes excellence in counseling. 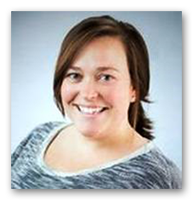 Lacey has previously worked as an outpatient therapist for adolescents, couples, families, and individuals. After obtaining her Bachelors Degree Xela served in the Peace Corps for nearly three years in South Africa. It was in this foreign environment where she fully understood and embraced her passion for being of service to others. 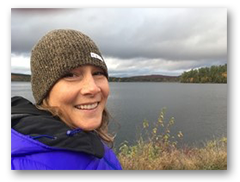 Upon returning to the States, Xela started her work in wilderness therapy as a field instructor, where she spent several years helping to invite change in adolescents. Xela earned her Master of Clinical Social Work Degree, with high honors, from Arizona State University. Spanning over a decade, Xela has worked at several wilderness therapy programs and therapeutic boarding schools. Xela has a natural affinity for relationship-based work with adolescents. Xela is certified in both Brainspotting Phase I and Trauma Center Trauma Sensitive Yoga (TCTSY).